Indian skipper MS Dhoni launched the trailer of MS Dhoni: The Untold Story in Delhi, Jalandhar and Mumbai. Dhoni accompanied the team of the Neeraj Pandey-directorial for the tri-city launch of the trailer, which was also unveiled online late on 11 August. Speaking during the release of the trailer in Mumbai, Dhoni thanked the audience for their love. 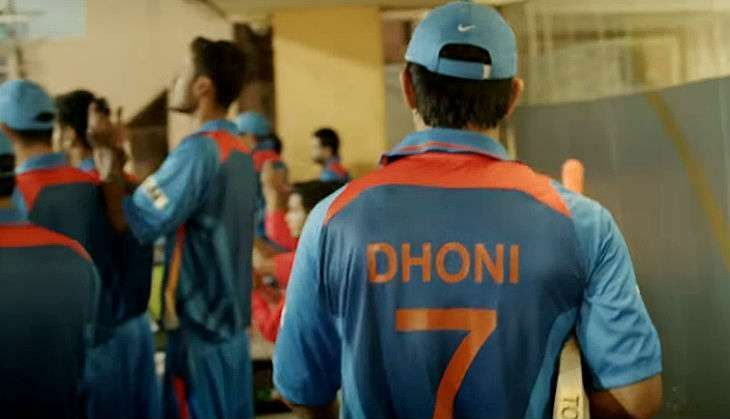 When asked if he was worried about how the film had portrayed his life, Dhoni said: "I am not worried at all as I have confidence in the crew. Right from the start we were in the same page. I have seen his (Neeraj Pandey) films and I like how he puts things on screen. We were clear right from the beginning we do not want to make a movie which makes me a heroor glamorises me." When asked about what MS Dhoni: The Untold Story will focus on, he said, "It was more about the journey so that people can relate to it. At the end of the day when you reach the goal it's the small decisions that you take has the impact what happens in between that is what pushes me transforms me to what I am today. The movie is more about the journey and it shows what all happened with me. It's a bit awkward to watch your own movie. At the same time I felt I was not the one who was very nervous it was Sushant." On whether only cricket fans would relate to the film, the Indian skipper said, "People can easily relate to it and cricket is the part of the movie. The movie is more about human emotions so its not only cricket. Neeraj is one of the best directors I feel he projects the film and sticks to the theme." MS Dhoni: The Untold Story also stars Anupam Kher, Bhumika Chawla, Rajesh Sharma and Kiara Advani. The film is set to release on 30 September.